German soccer club FC Schalke 04 has acquired Elements’ spot in the European League Championship Series and they have finalized their roster. The majority of the Elements roster will be retained, as top-laner Etienne “Steve” Michels, jungler Berk “Gilius” Demir, AD carry Rasmus “MrRalleZ” Skinneholm and support Hampus “sprattel” Abrahamsson stay with the team, as well as head coachPatrick “Nyph” Funke. However, mid-laner Jeremy “Eika” Valdenaire will be replaced by former Unicorns of Love mid-laner Hampus “Fox” Myhre” Fox was supposed to play on a North American Challenger squad sponsored by Immortals, but the team was scrapped after the announcement of the Cloud9 Challenger team. This is not the first “real” or legitimate sports investment in competitive League of Legends, as NRG eSports and Echo Fox of the North American LCS have investors from the professional sports world and Beşiktaş J.K. owns a team in Turkish League of Legends, but this is certainly the most significant. 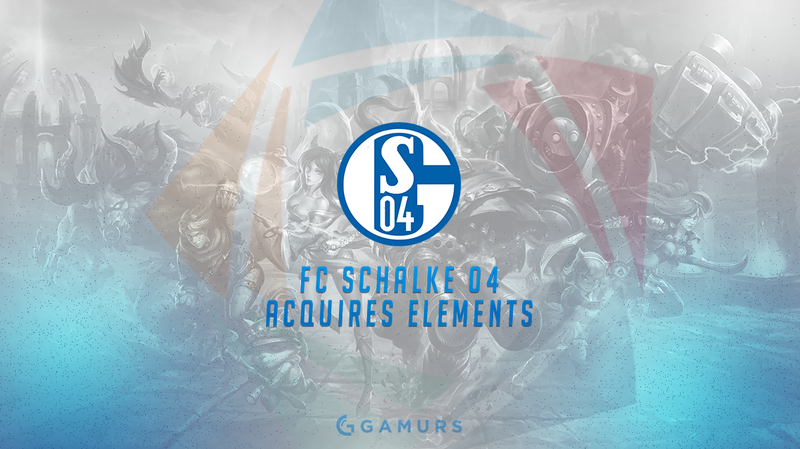 FC Schalke 04 Esports can be seen in action in the EU LCS beginning June 2. Will other major clubs follow in Schalke’s footsteps and enter the world of eSports? Do you want them to? Let us know in the comments below or on our Twitter @GAMURScom and be sure to follow us to stay updated on all of your eSports needs. Spencer Hester can be contacted by email at Spencer.Hester@eSports-Nation.com or on Twitter –@SpenceGAMURS.